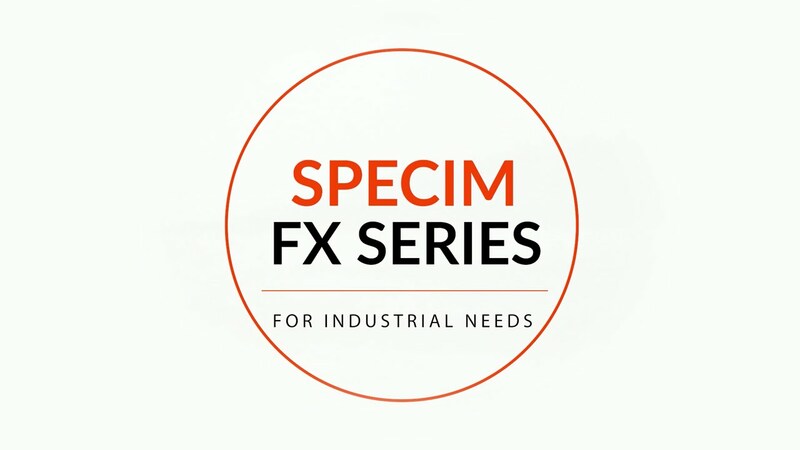 The Specim FX series systems consist of a built-in sensor, a spectrograph and a lens. This enables plug-and-play hyperspectral operation. Because of their factory precalibration, the cameras behave predictibly similar, enabling easy duplication or exchange. The system measures from the visible to the near infrared wavelength range (400 nm to 1000 nm) and in the SWIR wavelength range (900 nm to 1700 nm). It distinguishes 220 (VNIR) or 230 (SWIR) different spectral bands within the wavelength range and thus offers great flexibility for selecting the required wavelength. 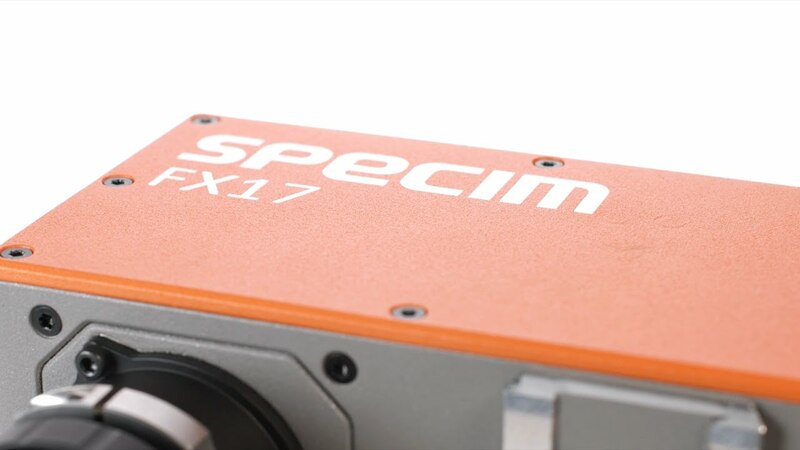 We are proud to introduce to you Specim FX17, the smallest and fastest InGaAs based Near Infrared, 900 – 1700 nm, hyperspectral camera designed directly for industrial machine vision market. The new Specim FX17 is an affordable technological enabler for industrial on-line quality control, inspection and process monitoring. It provides more detailed chemical, physical and biological information, thus saving both money and time and reducing the amount of unrecyclable waste. The FX series has been equipped with a particularly light sensitive lens to achieve short exposure times. This is supported by the high signal to noise ratio of the sensor, which guarantees enhanced detection accuracy at high speeds. The FX comprises all necessary elements of a comprehensive spectrographic system. It goes without saying that the components are selected to work together and are optimally adjusted to each other. This saves time that would otherwise be necessary to select the right components. On the other hand, the complete integration into a single device renders setting up an inspection system a lot quicker and easier. With its patented method, Specim has made it possible to set up spectrographs in a very space-saving manner. Therefore the design of the FX series is a lot more compact than that of comparable systems. The Specim FX devices are delivered precalibrated. Therefore every spectrograph produces identical results. This means that systems can be duplicated very easily and save the effort for calibrating the spectrograph again. In case of malfunction of a component, the whole device can be exchanged with a replacement unit without any difficulty or the need to calibrate the unit and in this way minimise downtime. In 1995 Specim launched the first professional hyperspectral spectrographs. Since then, the company which is headquartered in Oulu (Finland) has been at the forefront with new and advanced technological solutions applied to hyperspectral imaging and with products reaching the pinnacle of precision, durability and functionality.